Compared to Soviet propaganda, which targeted ideological supporters of socialism and communism, Putin’s propaganda machine targets individuals who hold different – often conflicting – worldviews. Scanning sources for a new documentary film about Russian propaganda, I stumbled upon a site called Information agency . 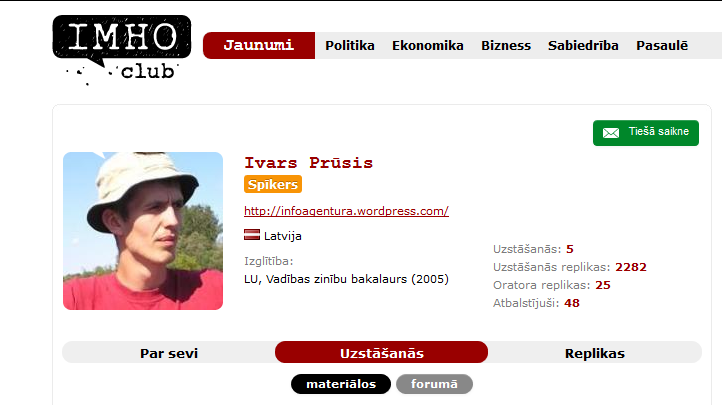 Published in Latvian, the site promised to deliver news, analysis, and translated articles. Neither the agency’s address nor names of its authors were listed the site. Many of its lengthy articles had been translated from Russian because, according to the site’s authors, Russian articles were of better quality. I began reading the most recent entries. I learned that the new bank founded by the BRICS countries and developed as an alternative to the US and European-dominated World Bank and the International Monetary Fund can “theoretically threaten the US world hegemony.” I also learned that Russian emergency services worked much better when there was fire at a supermarket than the ones in Latvia when a similar tragedy struck the Baltic nation. As a whole, Russia had handled everything quickly and correctly. This was why the whole world was against Russia. A riveting self-loathing tale attributed to an Ukrainian writer with three advanced degrees quickly became my favorite. It was republished from novorus.info, a news agency of Novorossiya, a name for the failed confederation of the self-proclaimed “people’s republics” in the war-torn eastern Ukraine. The author complained how ashamed he was to be a Ukrainian because Ukraine could not defend itself. 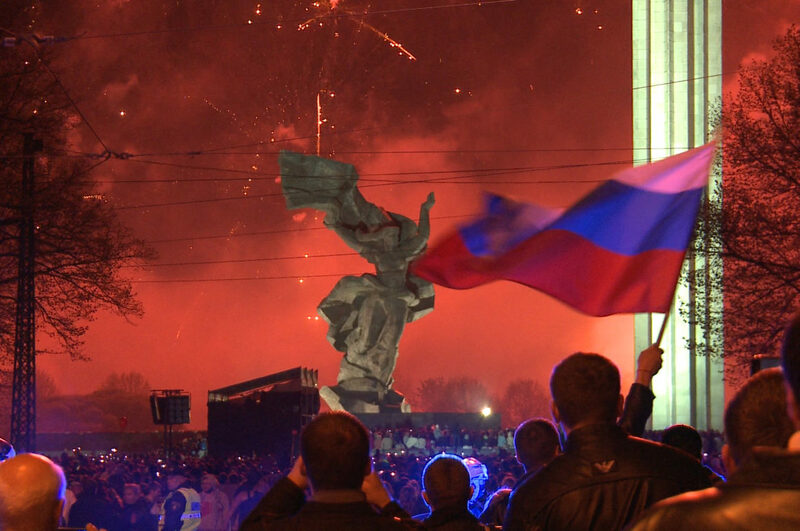 The country betrayed its people in Crimea. It had no sports achievements to be proud of. Its doctors could cure only flat-footedness, diarrhea, and a few more illnesses. And it had “a terrible” national anthem. I found myself in Putin’s Russia, only in Latvian. Curious, I wanted to find out who was constructing it. Quickly, I came across a man named Ivars Prusis, in his late 30s or early 40s, with a bachelor’s degree in management. 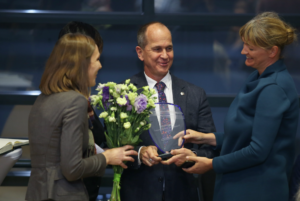 For the last 16 years, he had worked at the Latvia’s largest telecommunication company Lattelecom, partially owned by the state. He left tracks all over the Internet. A YouTube video from an economics conference showed Prusis put forth his vision for socialism as the sole savior of humanity’s ills. His resume revealed his views. He had translated into Latvian Sun Tzu’s “The Art of War” as well as the “Green Book” by the former Libyan dictator Muammar Gaddafi. A prolific writer, he published many of his essays online, predominantly at IMHOclub.lv, a Russian-language website, which contained a more radical of the Latvia’s Russian thought. “Why must I suddenly be prepared to spill my blood for this country, which considers me an alien? Let it defend itself. If ‘the little green men’ show up in Latvia, I will buy a lot of popcorn and will view it from my window. It’s possible that I would even help these little men, if we can come to an agreement. I have been called an occupier here for 25 years, why can’t I finally justify that high honor,” read an article by the editor of IMHOClub.lv and a former editor-in-chief of a business daily Yuri Alekseyev, written on the heels of the Russian annexation of Crimea. My conversation with Prusis ended before it even started. First of all, he said, I represented an organization that is sponsored by the US State Department (the founding grant for Re:Baltica came from Americans). Second of all, Latvian journalists are generally “dishonest, biased, petty, philistine and they mislead the public,” Prusis wrote in his e-mailed answer to me. I don’t know if Prusis is one of the infamous Kremlin trolls or if he sincerely believes in what he writes. Nor do I know how and why his views had been formed and became the way they were. I only remember him because his website contained almost everything that I have understood about Putin’s propaganda in a year-long research for the documentary. Compared to Soviet propaganda, which targeted ideological supporters of socialism and communism, propaganda of Putin’s machine targets individuals who hold different – often conflicting – ideological views. It presents a worldview that is acceptable, on one hand, to Greece’s far-left Syriza, whose foreign minister corresponded with the Novorossiya ideologue Aleksandr Dugin. On the other hand, it is also acceptable to the France’s far-right National Front, who borrowed money from a bank with close ties to the Russian security services for an election campaign. Contrary to the common view that propaganda is television, Putin’s machine is much more nuanced today. Yes, television is propaganda’s nuclear weapon and in case of Russia, it’s done professionally: news reports feel more like Hollywood movies, with the same level of credibility. Propaganda also consists of tens of parallel distribution channels: books, films, social networks, sponsored pseudo NGOs, politicians, fake institutes, Moscow Houses in European capitals. 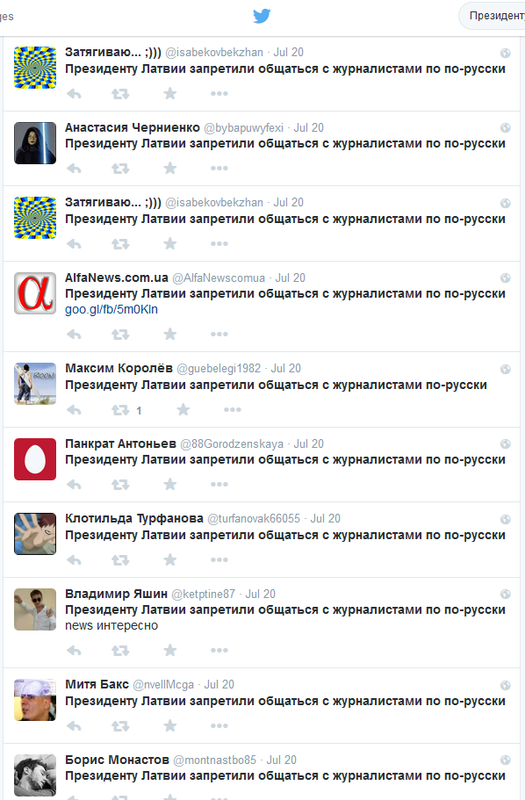 These all are soldiers in the Russian information war, tasked with similar goals. These goals involve generating rumors, no matter how unbelievable they are. For example, that the Malaysian Airlines flight MH17 with 283 passengers, shot down over separatists controlled area in eastern Ukraine, was hit by mistake and the real goal was the Putin’s presidential jet. Or that the plane was stuffed with dead bodies long before it crashed and was shot down by the Ukrainian air force, story straight out of the BBC’s “Sherlock”. The goal is to disperse competing, confusing versions of what happened in as many formats as possible. If the primary goal is to present Ukrainians as “fascists”, then it must be through books, films, television, and on international forums. Using paid Internet trolls to limit the public discussion in Russia and abroad and by using the appropriate keywords, the comments may appear in search engines months after the event took place. This war’s goal is to conceal the information in fog, making it difficult to find a direction. As it turns out, it’s not that difficult. What is required is the ability to use the West’s weaknesses: the belief that if someone says A and someone else says B, the truth is somewhere in between. However, Putin’s invisible army fights above the law. Putin’s propaganda machine does not have a birth date. Just like it doesn’t have an “evil genius” who created its elements. More likely, one success led to another, inspired by the Soviet security police methods now with the use of modern technology. “For the world the war in Georgia was the moment of revelation, because for the first time since the collapse of USSR Russia had used the army for the war outside it’s borders. But I would not describe it as the beginning. 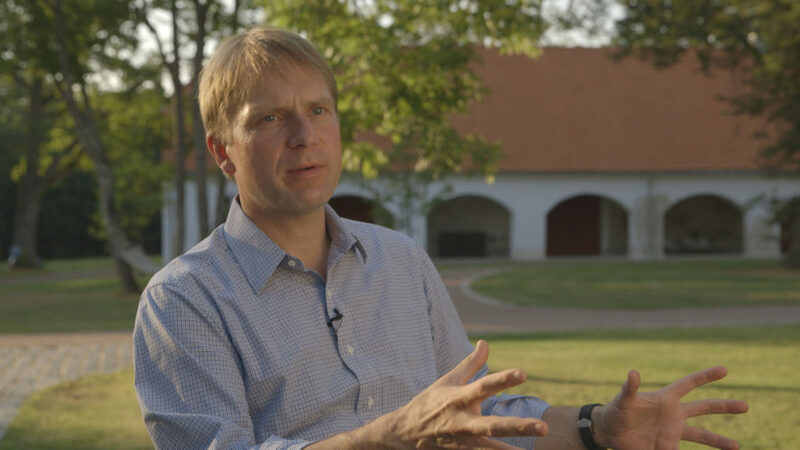 The beginning was when Vladimir Putin got the power,” last summer, sitting on a bench in a renovated park of a Baltic German manor, about one hour from the Estonian capital, said Eerik-Niiles Kross. In 2007, he went to Georgia to help the government there to prepare a path to NATO membership. Unexpectedly, he got involved in the information war and became President Mikhail Saakashvili’s communication adviser. “The first important document which Putin signed was the new defence concept of Russia which actually reads as an action plan. Most of what we were seeing in Ukraine was already written there. Russia must become a centre of power, a global player again. Russia does not recognise the unipolar world dominated by the United States. Instead it wants the world with the many centres’ of power one of which is Russia itself,” he said. Kross, who was tasked with making sure Saakashvili appears on as many Western TV channels as possible, could be a character in a novel written by his father, the famous Estonian writer Jaan Kross. Eerik Kross has been a diplomat, the head of the Estonian clandestine service, and in 2003 a security and intelligence adviser to the Provisional Iraqi government. In 2013, Kross was running in a local election. Several days before the election, Interpol issued an order on his arrest at Russia’s request. Moscow alleged that Kross organized the disappearance of a cargo ship the Arctic Sea. Estonia protested the order. Kross also served on the committee that decided to relocate a World War II memorial from the central Tallinn to the military cemetery. The move sparked the largest riots by ethnic Russians in post-Soviet Estonia. It also resulted in the cyber attacks on the resources vital for the state. Estonia suspected Moscow organized it. Kross is banned from entry to Russia. “Georgia was a logical part of the plan. In the world, as seen from the walls within Kremlin, it is encircled by the enemies, decadent West, homosexuals, nazis, Europeans who want to humiliate Russia. This had to stop. And the NATO summit in Bucharest was the turning point where US president did not get what he wanted, by Putin did,” alleges Kross. 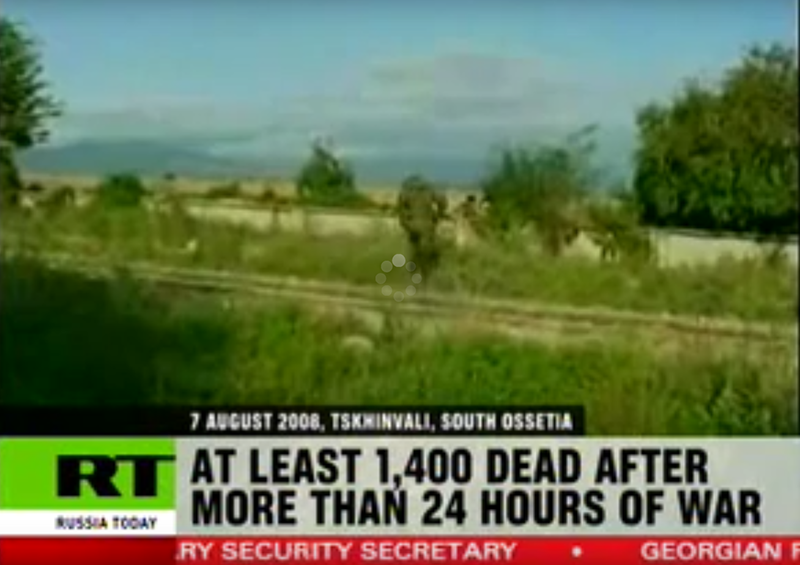 “The turning point” was followed by a five-day war in the summer 2008, when Georgia lost hope of integration with the West along with its two territories: Abkhazia and South Ossetia. And Russia shed its image of a peace-loving country. “It was already an information war, but primitive compared to the present. True, television already played a major role. In Tshinvali 60 Russian journalists arrived before the troops, expecting the war. But the disinformation operations are successful only if you are not caught, otherwise it’s called lies. If the Russian ambassador to UN is telling that there are no tanks in city of Gori, but the next thing you see is Russian tanks driving in city live on CNN, it’s rather funny, “ concludes Kross. Much has already been written about social networks and internet trolls. Their task is to promote simple ideas which fits Putin’s propaganda: America is bad, Putin is good. NATO troops fight in Ukraine. The Maidan protests were organized by fascists. Russian opposition politician Boris Nemtsov was killed by one of his own. A troll factory in St. Petersburg — where several hundred people produce the comments in 12-hour shifts for 600-700 euros a month — has been a subject of many articles. It seemed futile to investigate whether these factories also operate in Latvia when anyone who logs online and reads comments can see their work. 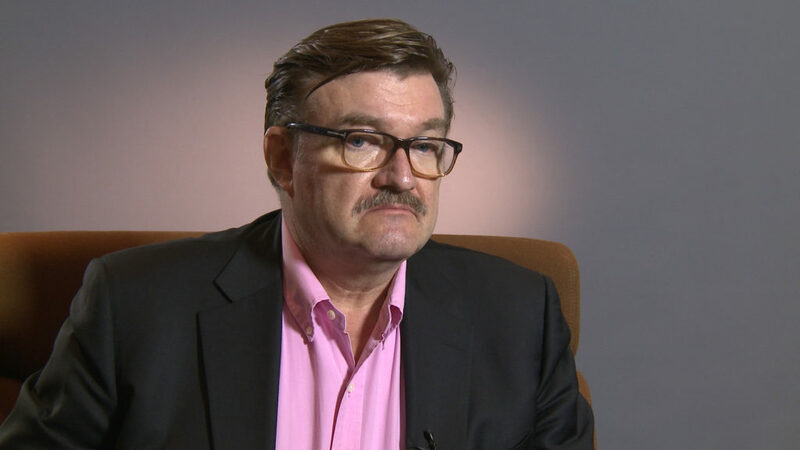 The editor-in-chief of the most popular news portal delfi.lv, Ingus Berzins, said that only 5-7 percent of the site’s visitors read comments, making the audience of the trolls comparatively small. “Themes are simple and always the same: everything in Latvia is screwed up; the industry is dead; all the culture had been brought to us by the mighty Russian people and the Soviet Union,” he said. As an example, he mentioned an article about the Baltic presidents’ relationship with Russia. It was published at 6:30 a.m. and the first dozen comments appeared almost immediately. In clumsy Latvian, the presidents of Estonia and Lithuania, both Kremlin critics, were portrayed as Russia’s enemies, defenders of gays, and accused of collaborating with the Soviet-era security service KGB. In terms of its power, the internet falls behind the key arsenal in the Kremlin information war: television. One of the first acts of Putin as the president was to move television under the Kremlin control. “The Russian television market is like a Putin’s zoo,” said Evgeny Kiselyov, the last head of the Russian TV channel NTV before the state-owned Gazprom took over. He has been living in Kiev since 2008. I met with Kiselyov in Vilnius at the annual forum for foreign policy experts and politicians, which this winter resembled a congress of Russian opposition. The keynote speaker: former oil oligarch Mikhail Khodorkovsky, who was pardoned by Putin. The guests included a former Russian prime minister, now one of the opposition leaders, Mikhail Kasyanov, a musical critic, Artemy Troitsky, who moved to Tallinn where he works at the Denmark-funded online Russian TV channel, Putin’s critic Andrey Piontkovsky and others. 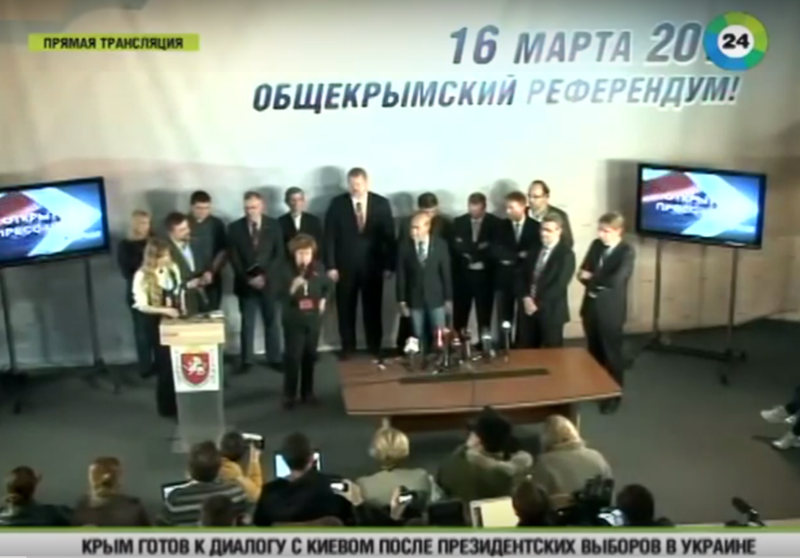 Echo Moskvy editor-in-chief Alexey Venediktov and Boris Nemtsov could not make it. The key question: what to do with Putin’s Russia, including the television force it controls. “It’s not just another point of view. It is a propaganda organization which defends the political interests of the countries that threaten European security and push forward an openly xenophobic and anti-Western policy. 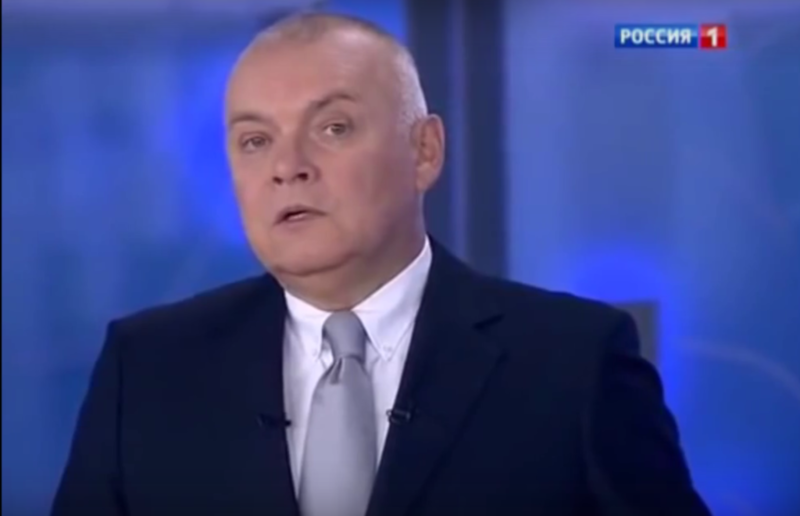 These are not journalists, these are paid propagandists in the state service, who brainwash Westerners,” Kiselyov says. Russia founded RT in 2005. The TV channel received the first international recognition during the short war with Georgia with its reports about Georgian atrocities against the Abkhaz and Ossetian people. There is no audited data about RT’s audience. The TV channel itself says it is available to 700 million viewers in more than 100 countries. It broadcasts in English, Spanish, Arabic, and starting this year, in German (online only) as well as French. Its content differs from language to language. For example, the famous story by the Spanish service that the ebola virus was invented by Americans cannot be found in English. RT’s younger brother is the state-owned news agency “Rossiya Segodnya”, which includes the reformed news agency RIA Novosti and the radio station Voice of Russia. The news agency’s head is Dmitry Kiseleyov, abroad often called Putin’s key propagandist. The agency’s newest product is the news agency, which is also a radio station, called Sputnik News. Its network broadcasts in 30 languages in 34 countries. In the presentation of the new outlet, the Baltic states’ capitals were named among the first where it will open the representations, but it has not happened so far. The budget of both media organizations is around 19.6 billion rubles (286 million euros, but changing with a ruble exchange rate). Russian journalists say that compared to other media outlets, RT offered large salaries to newcomers, who cared little about their own professional reputation and who can be easily influenced by the editorial demands. The RT’s third product is lesser known. It’s a Berlin-based video agency Ruptly, which offers its rare, exclusive video reports to international media. The budget of the new media conglomerate does not include other mechanisms to influence the Western public thought, such as a contract with the PR agency Ketchum to promote the positive image of Russia abroad (on March, 2015, the contract was not renewed). Or an agreement with GK Plus, which represents Gazprom in Brussels. Or the Russia Behind Headlines supplement to Western newspapers. 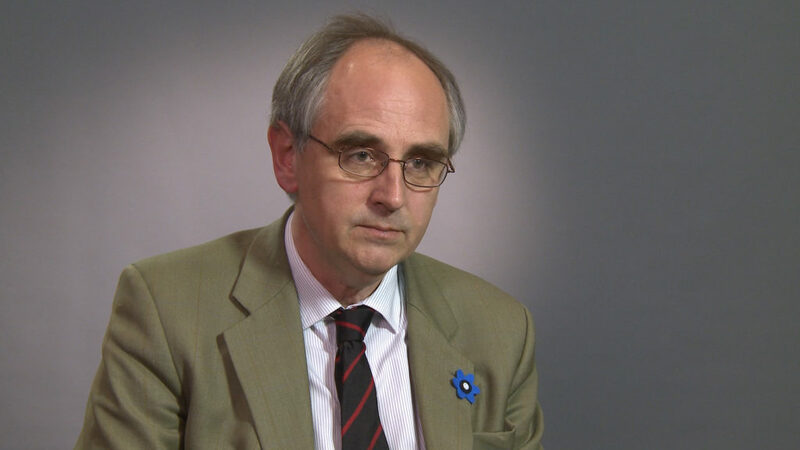 “RT is an attempt to change the way the West looks at things, and it taps into this very strong feeling in the West of powerlessness and disillusion with politics, as the political establishment is failed, they brought us the financial crash, and all these wars which where very expensive and didn’t get anywhere, “said British journalist Edward Lucas who has a long experience with Eastern European countries. 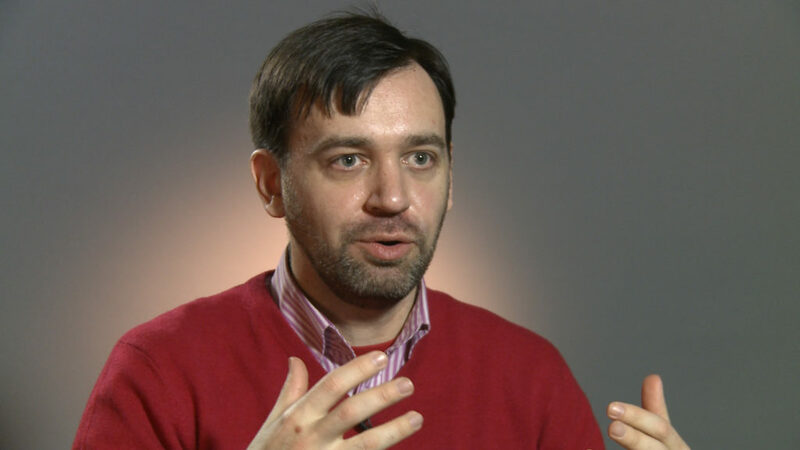 One of the experts on the Russian propaganda machine is Yevhen Fedchenko, a co-founder of a fact-checking website stopfake.org and director of journalism school in Kiev. Following the annexation of Crimea, he saw how many Internet resources worked to promote the Russian point of view and how few of them worked to fact-check what was shown and said on TV. Since its launch, the site caught the Russian media in distributing photos from other conflicts, like in Syria or Turkey, or presenting scenes from science fiction films. Stopfake.org exposed traveling actors who play different roles before the Russian TV audiences. One day, the actor is a Kiev resident who is fleeing from the Ukrainian fascists. The next day, the same actor plays a part of the victim of the fire at the Odessa Trade Unions house. The day after that, that same person plays a role of a member of the central election commission at the Crimean referendum. 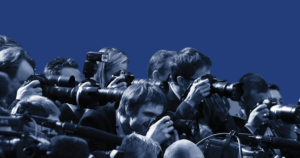 Fedchenko says that the Russian media has two goals in their information war with Ukraine. One is to generate myths for the domestic consumption in Ukraine. One such myth is to portray Ukraine as a failed state. Another one is the complete economic collapse of the Ukraine economy is a result of the Kiev’s junta filled with fascists. And the third myth is about the immanent repressions against the Russian-speakers and threats against the Russian military facilities and personnel in Crimea. At first, the propaganda was completely based on lies, but eventually, it matured and contained truth, half-truths and outright lies, making it impossible to determine which is which, Fedchenko said. For the international audience, the Russian propaganda’s emphasis was different. The key goal was to confuse the audience by presenting as many versions of events as possible, no matter how ridiculous. The photo of the “international observers” from the Crimean referendum makes the best illustration to the fact that ideological adversaries form a united front with Putin. Next to the former communist Tatjana Zdanoka, who is an MEP from Latvia and part of the left faction in the European Parliament, stand representatives from the far-right Freedom party from Austria, Ataka from Bulgaria, National Front from France, Vlaams Belang from Belgium, and Hungary’s Jobbik. There are also representatives from the Germany’s die Linke, Russian and Greek communists, Finnish neo-stalinists and former Polish and Spanish far-right. International organizations, including the European Parliament, did not recognize the results of the referendum, however looking through the eyes of the Russian TV, that fact was completely unimportant. Here were the European politicians who said the referendum was flawless. A viewer somewhere in Argentina would watch this report about the referendum observers, neglecting to mention who they are, and he or she would be easily convinced about the right of the nations to self-determination, including that of Crimea. “These people share similar ideas: they are against the European Union and the West. They support conservative values, some kind of alternative world, which today is being created by Putin to some degree,” said Michal Kacewizc, a journalist from the Polish magazine Newsweek, who researched the background of the Polish observer at the Crimean referendum. No one has yet investigated thoroughly who finances Europe’s far-right and far-left parties. Laws in some European states do not allow to control party finances. In Latvia, it is illegal to finance political parties from abroad and parties cannot borrow money abroad. However, in France, they can. Marie LePen’s National Front borrowed 9 million euros for its campaign from First Czech Russian Bank, which Czech security services suspect “could have ties to Russian intelligence, or organized crime elements, which given the current state of affairs in Russia often makes it difficult to distinguish between the two”. There are different ways in which European politicians become speakers for the Kremlin. Sometimes, it’s simply a matter of friendship and money as was the case with the former German chancellor Gerhard Schroeder. Still the chancellor, he promoted the Nord Stream underwater gas pipeline project that aimed to deliver gas from Russia directly to Germany. After suffering a loss in general election and at the Gazprom request, he became a board chairman at the Nord Stream. It can also be a combination of money and ideological support for the Russian World, a concept of unifying the Russians and sympatizers around the world united by the Russian culture and language. In places where the Kremlin cannot directly finance politicians, it finances legitimate non-government organizations or it can found new ones with the Russian government funds as the sole source of income. Their role is wider than merely playing parts for Russian and national TV. They also support Russia in forums organized by the international organizations. 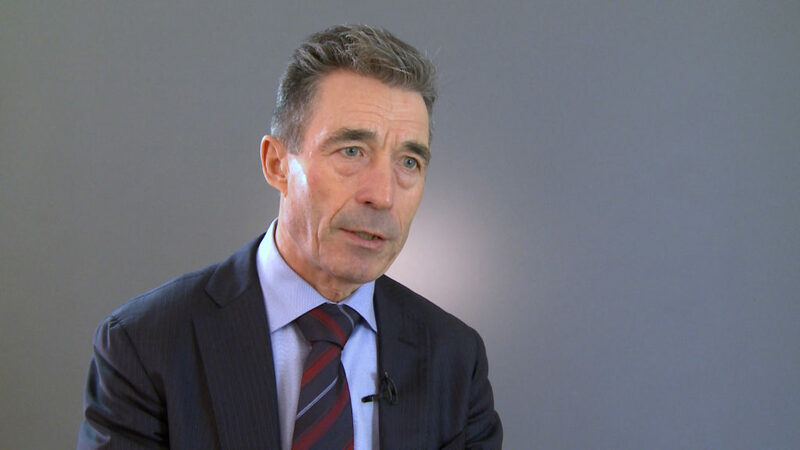 Former secretary general of NATO Anders Fogh Rasmussen was the first Western politician who started talking about Russian supporting of the antifracking NGOs to influence decisions on shale gas. I met with Rasmussen last fall in Copenhagen, where he opened up his own consulting firm. He was not ready to be very specific, even though the news reports had suggested Russia influenced energy projects in Bulgaria (with the support of the activists funded by the Kremlin-bankrolled NGO Russkiy Mir) and financed environment movements in the US. “It is a fact that Russia is interested in maintaining European dependence on Russian energy, and with all means they try to prevent the developments of new and alternative energy sources, pipelines etc. We should not be naive. This is a part of Russian strategy,” Rasmussen said. For the Baltic states, this is old news: four foundations representing Russia’s soft power often finance not culture or the Russian language lessons, but self-described ‘anti-fascists’ and other activists that defend and promote Russia’s foreign policy. Where Are The Foreign Media? The last activity by the anti-fascists in Latvia this year was on March 16. Every year, they clashed in loud but nonviolent protests against the supporters of the Latvian legion, who commemorate Latvian soldiers who fought in World War II on the side of the Nazi Germany. This year, wearing white robes, anti-fascists acted as “Nazism disinfectants” as they swept the sidewalk near the Freedom Monument in the heart of the Latvian capital Riga, where their political opponents came to lay flowers. 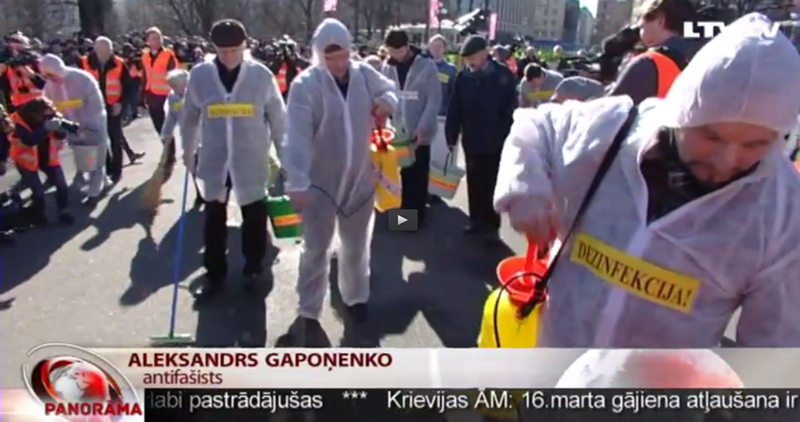 Russian TV showcased the protest. Someone was missing from the traditional group of anti-fascists. The Nazi hunter Efraim Zuroff stood in discreet among the gawkers behind the police fence, underneath the trees of the Freedom Monument aley. Having been a regular presence in each march and as one of the founders of “World Without Nazism”, an umbrella group which unifies many Russian government funded NGOs among the legitimate NGOs and activists fighting against the neonazism, Zuroff said he has since left it. He said he couldn’t come to an agreement about the best way to combat Nazism with another founders. In the evening, it was my duty to watch Russian TV news. After being missing for more than a week, Putin suddenly re-appeared. The news about “the Nazi march in Riga” took a backseat, with Putin’s return as the day’s main headline. Or for whatever other reason. Who can clearly see when they are amid the fog.